So could Paul Foster m ake if four finals here in a row? The final here at Dewars had been Foster and Brett for the last three years. 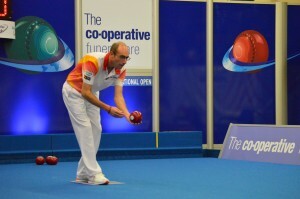 Brett had failed in the previous game before and Foster really had a game on his hands with Mark Royal. Royal, who himself has not been in the best of health recently, has found his old form and spark and won the first set with a quite convincing 9.4 score.